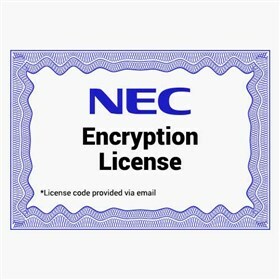 The NEC 1100081 is a 3rd Party SIP Station License, which provides encryption for VoIP traffic to SL1100 multi-line VoIP terminals. The encryption licence guards your VoIP business phone system and will cover the entire system. The NEC 1100081 has many exciting features for users of all types. The NEC 1100081 is sold as a Brand New Unopened Item.